It is a larger muscle, and visible under the skin. However, it has further two heads which creates a shape of a diamond. This is a small and flat muscle. 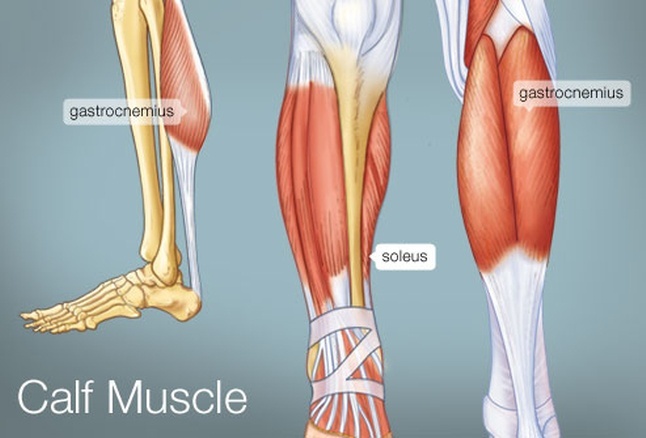 This muscle is underneath the gastrocnemius and connected with the lower leg’s bone. Both muscles are tapered and merged at bottom of the calf muscle. These two muscles attached together with heel through Achilles tendon. The calf helps to pull up the heel to move in the forward position while walking and running. this muscle has to be strong enough. Because it works a lot than the other muscles. So, it has to be exercised to prevent injuries in bodybuilding. 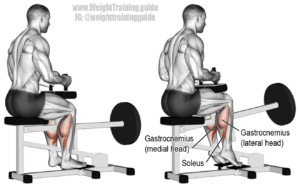 Sit down and place your legs on the machine platform at a medium stance. Then push the platform by your toe and raise heels as high as and flex the calf muscles. Make sure, your knee shouldn’t be moved while performing this exercise. it shouldn’t be bend at any cost. 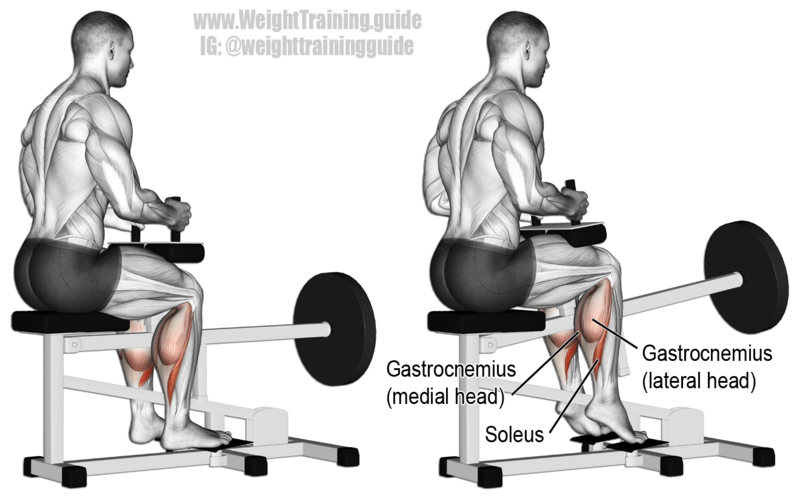 Sit on the bench and place your feet on the platform to do this calf exercise. Grab the handle and then slowly raise the calves and squeeze them and flex them. This calf exercise position is up and down movement of heels. Grab the handle and lift the extension with the help of shoulders, then place feet on the platform. 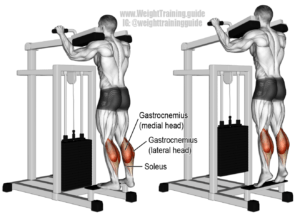 same as other calf exercises, again raise calves and squeeze and repeat it 10-12 times per set. 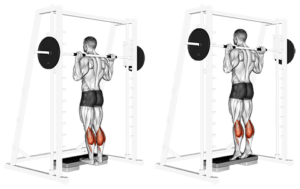 Smith machine calf raise exercise is not an easy task to perform. It needs better stability and strength. first of all, you have to be in a position where you can hold the weight on your shoulders for much longer. slowly place your feet on the footstep and make balance then raise calves and squeeze them. Repeat it 10-12 times per set. 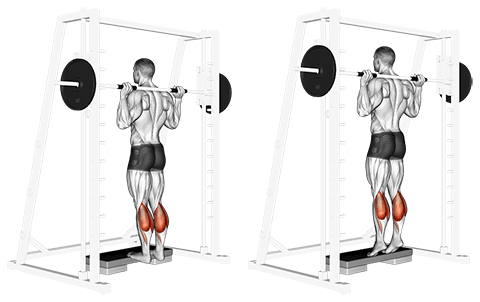 Most of the bodybuilders train their calf muscles separately from quads session. Because it appears as a single muscle in the lower leg. the calf muscles should be looking great to compete in competitions. 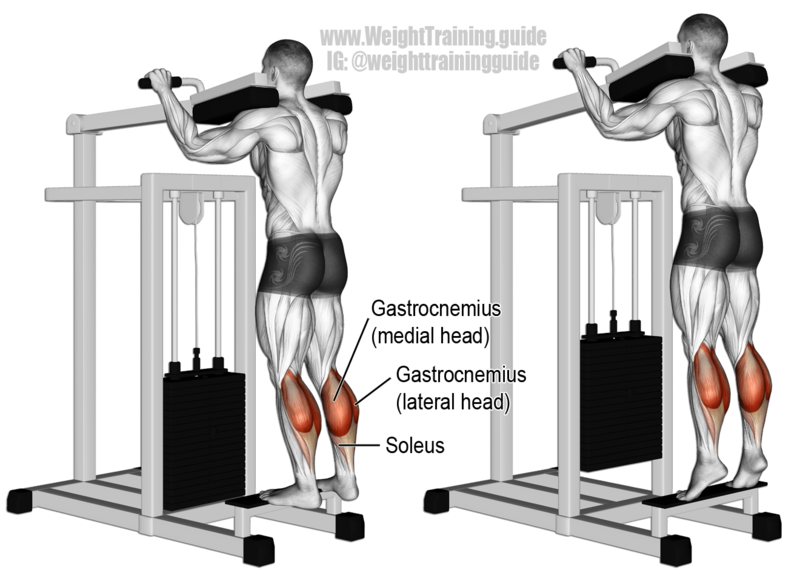 All calf exercises are helpful to build more muscle mass on your calves.